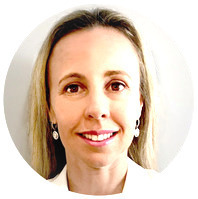 Kylie Alexander is an Accredited Practising Dietitian and a Credentialled Diabetes Educator, with a Bachelor of Science (Nutrition and Psychology), a Master of Science (Nutrition and Dietetics) and a Graduate Certificate in Diabetes Education. Kylie has also completed additional training in Sports Nutrition. Kylie has worked for 18 years as a Clinical Dietitian in Australia and the UK, with over 12 years specialising in diabetes. She has experience providing nutrition and diabetes management advice for people of all ages, with all types of diabetes (type 1, type 2 and gestational). This includes, managing people on multiple daily injections, insulin pumps and continuous glucose monitoring. Kylie is experienced in carbohydrate counting, as well as looking at other factors impacting on blood glucose levels, and is trained in dose adjustment for normal eating (DAFNE) and was the DAFNE lead at Royal North Shore Hospital. In 2016, Kylie was involved in an international obesity trial providing dietary and lifestyle advice to participants. Kylie is passionate about helping people living with all types of diabetes, and those at risk of diabetes, to effectively manage their health, achieve their goals and to live fit and healthy lifestyles. She sees clients for type 1 diabetes, type 2 diabetes, gestational diabetes, pre-diabetes (impaired glucose tolerance) and insulin resistance, as well as those seeking advice for weight management and heart health.